Being a Business Owner can be a tiresome task sometimes. You have to take many decisions, complete many tasks and keep the essence of everything together. You should not forget this while picking a Christmas gift for your friend, partner, colleague, boss or family. Of course, anything you gift would add a smile to the face, but that’s not the point. We’d recommend choosing some gifts that can turn out to be quite useful. We don’t want utilitarian here, though. The point is that your Christmas gift to the business owners should be relatable. That is, the boss, entrepreneur or your colleague should understand how deeply you know each of them. 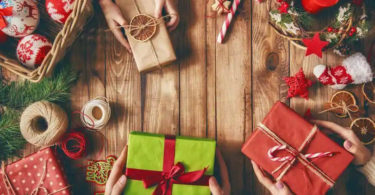 In this article, we’ve listed some of the awesome gift ideas for business owners, and we have some sub-categories too. As always, most of these gifts would not cost a fortune. Your boss may already an awesome leader you can have, but there’s always room for improvement. The 21 Irrefutable Laws of Leadership is one of those old-is-gold books. To be frank, being a true leader has been as old as the culture of inclusion began. So, even when you have the perfect boss, you can try gifting this superb book written by John C. Maxwell. Make sure you get the hardcover version, which has a premium outlook in design and content. The best part about this gift is, you don’t have to spend hundreds of dollars. Everyone loves a great notebook. Won’t that be awesome if it is so environment-friendly as well? 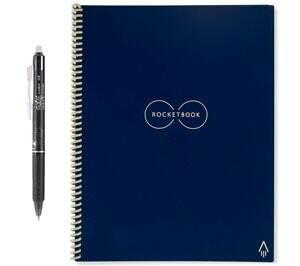 If you like your boss to have one of those, get them Rocketbook Reusable Notebook. What we love about this notebook is that you can upload the notes directly to services like Google Drive and Evernote. The borders on the pages make it easy for normal apps to scan content. This notebook, paired with the compatible pen, would be an awesome gift for a boss who scribbles a lot of ideas. This product, too, does not cost much to purchase. Do you know that you can get an awesome Keurig coffee maker without spending even $100? 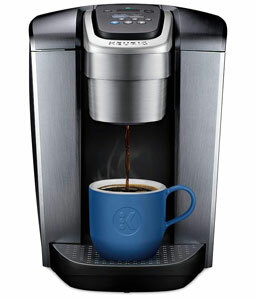 And, if you have a boss who’s addicted to caffeine, you should gift this Keurig Coffee Maker to them too. It’s a single-serve coffee maker that makes perfect coffee on every single day. You can choose the favorite brew size, the strength of the brew and other settings as well. It would also be an awesome addition to your boss’ cabin, thanks to its sleek design and powerful features. After all, it’s a product from Keurig, with all that’s good. If you think your boss spends too much time in front of the desk, you can offer a gift that keeps them healthy. 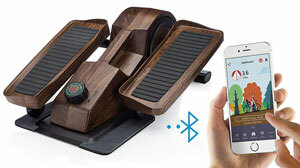 In that case, we’d recommend this Under Desk Elliptical, which is quite reasonably priced. Your boss can keep this machine under the desk and use the elliptical function when desired. The system is connected to your phones via Bluetooth and progress-tracking is also available. 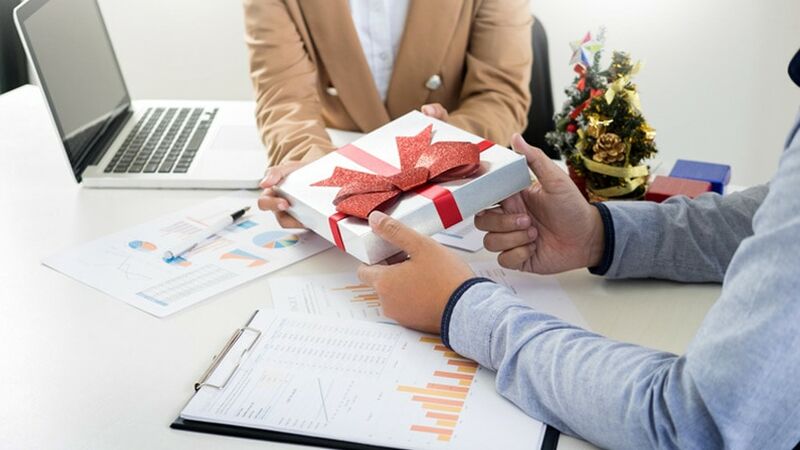 It’s one of those products that can add amazing value to the process of Christmas gifting; it’s probably the best gift a boss can ever get too. This is yet another addition to the collection of affordable yet productive Christmas gifts. 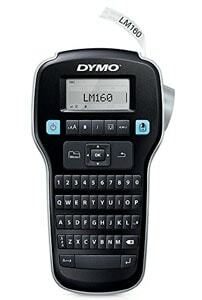 If you have a boss who needs help with organizing stuff, you can consider gifting a Handheld Label Maker. As the name says, it helps them create labels and paste them quickly on things. Be it racks, files or other things, everything can be labeled with the help of this tech. You can also choose between different fonts, font sizes and a variety of digital characters to be printed. It’s surely the best gift for bosses who have a lot to organize and manage. Entrepreneurs often need the fine balance between moving forward and standing their grounds. If you know one of them, you can gift the Moleskine Smart Notebook to them. It’s been made in partnership with quite-popular Evernote. When you purchase this notebook, you also get three months of free access to Evernote Premium. In addition, the notes have been optimized to be easily uploaded to Evernote and synced. For any startup owner who gets lost in-between various notes they’ve saved, this notebook would be a blessing. It’s hard to run a startup without reading the essential stuff, you know. If your boyfriend, friend or father is into the startup business, make sure that they have a Kindle Paperwhite. This e-reader can offer one of the best reading experiences in town. 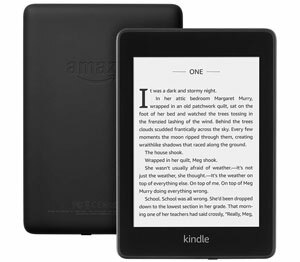 Unlike the traditional Kindle, Paperwhite has backlit display, meaning that you don’t need extra light to read the book. It’s one of those Christmas gifts that would have an impact for a few more Christmas events to come — and to the great world. Make sure that they’ve got great books too. Eric Ries is one of the authors who has analyzed the startup scenario very well. And, The Lean Startup from such an author is one of the best Christmas gifts for entrepreneurs. This book, which takes rather a historic approach, explains why your startup should have continuous innovation. The author not only outlines the successes and failures in the startup world but also shows some true insights into consistent growth. The Lean Startup method may not be for every company out there, but the book is a worthy read for every business owner. You can ask any startup owner and they’ll lecture you about the importance of having concentration during work. If you can afford, you should get that hard working business owner a pair of headphones with noise-cancellation. 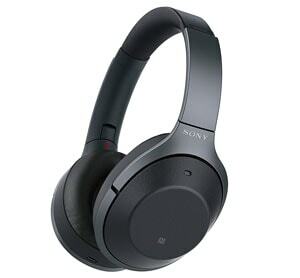 There are a few amazing options but the Sony Noise-Cancelling Headphones are just great as it comes to sound quality. Powered by Bluetooth, the customer does not have to worry about wires either. It’s a gift that would make them remind of you, every time they listen to a favorite track or an awesome audio-book on the go. Cleaning up your desk and organizing the materials is not as easy as it’s on computers. Often times, startup owners get lost in stuff too. So, if you have a loved one who manages a lot of things, you can gift them a cool Desktop Organizer. 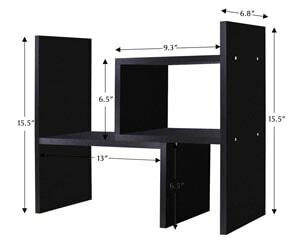 It’s a well-organized structure that you can place on your desk. And, you will have a lot of dedicated space for things like books, an alarm clock or even some decoration material you have. It’s also a great way to save space from the desk too. Of course, you’re not paying much here, but the results are great. There are some gifts that every person in your office would enjoy. A Bluetooth-powered Speaker is one of those things. 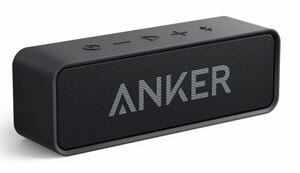 Now, the Anker Bluetooth Speaker is a worthy choice from Amazon, where it has a top rating as well. Even with a minimal size and design, this one produces the incredible quality of sound. And, do you know the best part? Your colleagues won’t have to charge this speaker every then and now. It offers an incredible battery life of 24 Hours, which is enough to help you get through the day. Awesome, right? Echo Dot brings Alexa to every room. Ever thought of the fact that it can bring Alexa to every cabin? 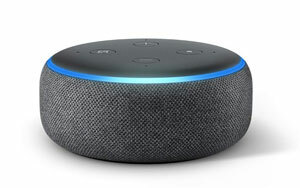 As that happens, Echo Dot is an affordable and impressive Christmas gift you can give someone today. It’s going to help them manage personal, work and general things with ease. As you know, with Echo devices, it’s the voice that matters the most. In short, the Echo Dot would provide access to the smarter worlds. And, it’s awesome if your company is using some software that can be integrated with Alexa devices. Altogether, it’s a gift that everyone would praise. Everyone loves to have a cabin or cubicle that is filled with fresh vibes. This Christmas, you can help someone make that dream possible. This collection of Succulent Bonsai Pots are great to convert your normal cubicle into something more visually appealing. 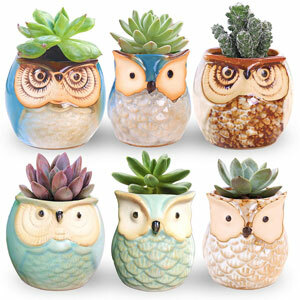 You can use these pots for Bonsai plants as well as cactus plants as you wish. This gift would not cost you much, but the feel is something different. In case you are combining it with one of the earlier gifts, your colleague would have an awesome desk in no time. The pots are made of high-quality material too. Here’s another idea to make your colleagues’ days even funnier and pleasant. You can gift them one of the best Essential Oil Diffusers from Amazon, combined with some essential oils, of course. This way, you ensure the best vibe for your colleagues, throughout the day. Even if they’re in a cubicle, there are options to control how much essence is being spread. 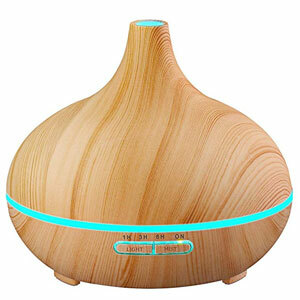 This oil diffuser has one of the best designs we have seen, along with a bunch of features like Auto Turn-Off. At the end of the day, these devices can add value to the mental health of your co-workers. Written by Stephen R. Covey, The 7 Habits of Highly Effective People is one of the best books that individuals should read for self-development. When you gift this book to your colleagues, you do two things. First, you are adding a worthy book to the shelf they may have. Second, you are helping them find areas where they can improve and grow. Praised by experts and common readers alike, this book and the concepts detailed in the book would surely add some value to life. At the end of the day, it’s what matters when you give a gift. Regardless of the recipient, these Christmas gifts are value-based. We believe that’s what a professional would look forward to. 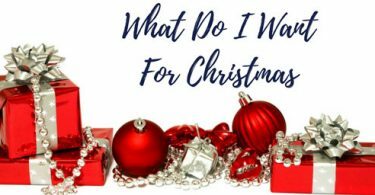 So, make sure that the boss, entrepreneur, and co-worker in your life have some of the best gifts for this Christmas.